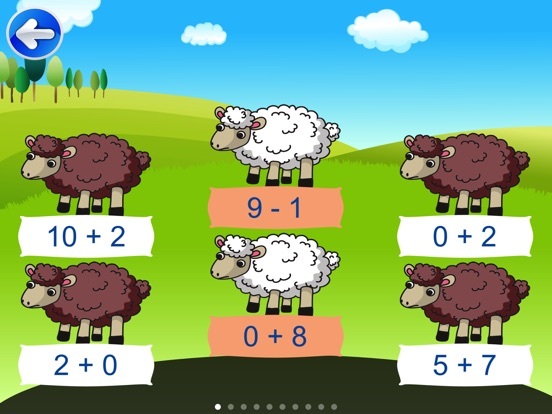 Math Challenge Lite (Multi-User) is a great app for kindergarten to 2nd grade children. The purpose of this app is to practice their addition and subtraction skills. 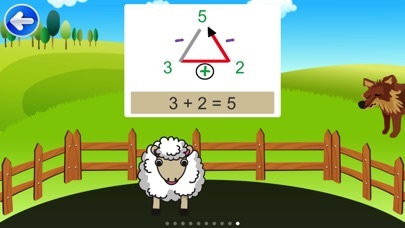 In this game, your child will help save the sheep from the hungry wolf. 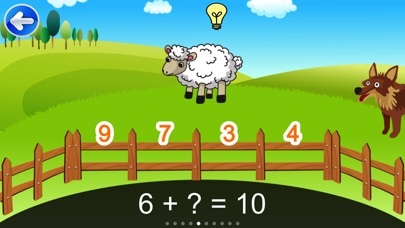 Each correct answer will lower the fence to help the sheep jump over it. Try to save as many sheep as you can! This is the fun game to improve your child's Math addition and subtraction skills. 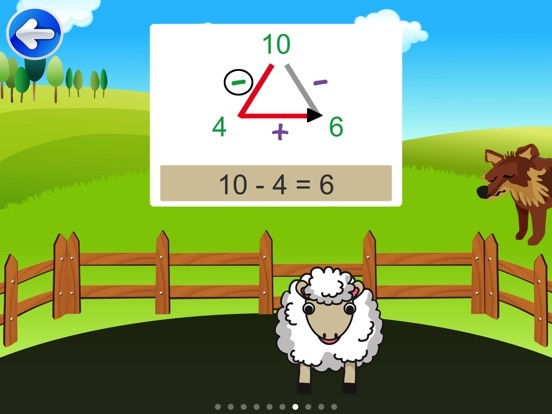 Math Challenge Lite (Multi-User) also includes the progress report and the timed mode options to challenge kids, and options to customize the number of questions and number of tries. We also include the hint option to show how to add or subtract numbers and the options to use column or math mountain to reveal the answer. **Plus, this game allows multiple users, so parent or teacher can add more than one user to keep the progress report for individual child. **In the full version, we include the options for a parent or teacher to control the level of difficulty to match your child's level. For example, you can select a specific area that your child is having a hard time with, like subtracting numbers in the tens or adding numbers to twenty, so that he or she can practice it over and over. Also, it supports multiple users, so parent or teacher can add up to 30 users to customize the level of difficulty and keep the progress report for individual child.